Sometimes it seems like the war on spam never ends. We all hate unwanted email messages and blog comments – but how do we get rid of them? 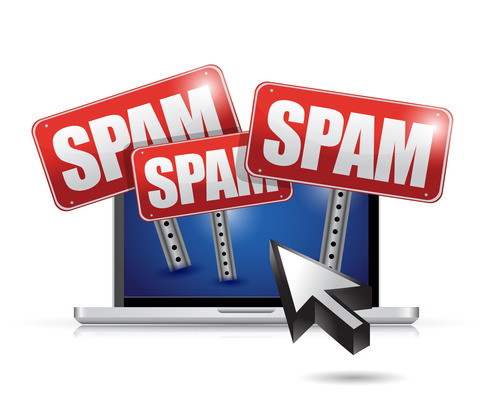 Here at EndLayer, we just discussed some handy tips for defeating spammers... and we’ve got more for you. Spam happens, so let’s deal with it. Tip #1: Make your email addresses hard to guess. (We’re talking about those disposable addresses we mentioned in the last article.) Sometimes, spammers just guess lots of random addresses until they hit on one that works. So make your email hard for them to guess. Use underscores, dashes, numbers and word segments, and don’t be afraid to make them longer and include multiple words. Spammers will be confused. And you will be glad. Tip #2: Don’t be afraid to assume the worst. Tip #3: Never, never use your primary email address to sign up for anything. You’re just asking to be spammed. The provider cracks down hard on spamming customers. They don’t allow network harvesting. They don’t host “spamvertised” sites. If your provider lives up to these expectations, you have a much better chance of avoiding spam. Tip #6: Don’t just delete your spam folder automatically. Filters aren’t perfect. Sometimes you’ll miss a legitimate message because it got mistakenly categorized as spam. Tip #7: Use ISP-supplied spam headers. Tip #8: Report your spam with SpamCop. Access the source of the spam message in your email client. Copy and paste the source in the SpamCop input field. Hit Process Spam and then Send Spam Report(s) Now. Tip #9: Let EndLayer handle your spam. Sorry, we just had to say it. Nothing slips by our experienced IT staff – unsolicited mail, security breaches, you name it. We’re on top of it 24/7. For the next article in our “EndLayer Guide to Spam,” click here. We’ve compiled some of the most useful spam filters for the Mac and Windows OS’s.